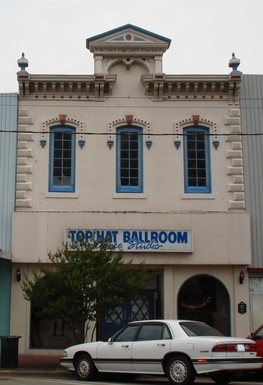 The Heritage Dance Foundation is pleased to announce a new YOUTH PROGRAM beginning on September 3, 2013 at the Top Hat Ballroom Dance Studio. The program will be taught by Marty and JoAnn Barbour. For more information click on the documents below. This program is designed to make you a social dancer and to give you a basic knowledge and the confidence to dance at various social events. The most popular standard of dancing. The Bronze Level gives you the confidence to feel comfortable on any occasion and the knowledge to compete in various competitions and showcases. The Silver dancer advances to more intricate patterns and learns style, grace, versatility and develops flowing continuity on the dance floor. The Gold dancer can be readily recognized by their advanced style and poise. The self confidence achieved in this level comes from a thorough knowledge of all major ballroom dances. It is the highest standard of dance. Private lessons are available for individuals as well as couples. These lessons are designed specifically for each student and couple. Whether your needs are to learn social dancing, a wedding routine or competition level dancing, we can design a course of study specific to your needs. Group classes are offered on a weekly basis where you will be taught different variations and techniques for particular dances. This is an excellent way to meet new friends and have an enjoyable evening. Call us to set up your private groups classes at least one month in advance. Private group class times are based on studio availability. Packages must be paid in advanced. Parties are a great way to practice what you have learned during your private lessons and group classes, and to meet other students with the same interests and goals. Parties are every Friday night (by reservation.) In studio parties begin at 7pm and are open to the public. Cost is $10 per student. In studio parties also feature a "mini" lesson on one particular dance; however, occasionally we take the fun out of the studio to various locations which will be announced. The cost of these parties are dependent upon location and event status.